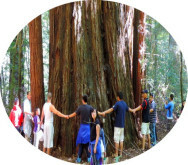 Whether you are technophile or a first-time curious visitor, this Silicon Valley discovery day-trip is the perfect getaway for all ages - fun, informative and a must-see destination! There has been a shift in the Golden State attractions. Silicon Valley is now a new and unique tourist destination and keeps ranking as a top tourist attraction in San Francisco Bay Area, due to its increasing popularity. When tourists travel to Silicon Valley to photograph and see iconic places like Google, Oracle, Stanford, Amazon, Yahoo, Ebay, Apple or Facebook, they don’t really expect to meet with the staff or go inside these tech-giant’s buildings, they simply want to put a face to the technology leaders that effect their daily lives. Visitors go back home happy and share their unique touring experience of Silicon Valley backed by stunning photographs, with their friends and relatives and can say “I was there, I did it”. Silicon Valley refers to the southern portion of the San Francisco Bay Area, located between San Jose, in Santa Clara County and San Francisco Area. The region has expanded to include the southern half of the San Francisco Peninsula in San Mateo County, and southern portions of the East Bay in Alameda County as well. The communities, collectively known as Silicon Valley, are the home base for the heart and soul of computer technology. This is a very large and extensive area and requires several days to see all these tech giants and famous sites. It is impossible to cover so many cities and counties in a day trip without guidance. This is where our expert guides come in handy to save you time and money, by squeezing in as many attractions and sites in a one-day private and custom tour, tailored to your own preference and expectations. You won’t be disappointed - both the destination and our tour guides are highly rated - and you will have a memorable journey in Silicon Valley. Visit inside iconic sites like Intel Museum and learn how ‘silicon’ is used to make all these modern devices, including our computers and cellphones. The word ‘silicon, originally referred to the large number of silicon chip innovators and manufacturers in the region, but the area is now the home to many of the world's largest high-tech corporations, high-tech companies and thousands of startup high-tech companies. Join us now and let us show you around, you will be in good hands. Why Silicon Valley is a must-see tech tourist destination? Silicon Valley innovations and inventions have changed the course of our human history, the connection between technology and culture impact our daily lives in every way. These emerging technologies are forever changing the way in which we obtain daily information, banking, computing, and governs the daily interaction and communications between people all over the world. We are truly a privileged generation living in a fascinating changing and pivotal time in our human history. Visiting Silicon Valley makes visitors and travelers understand better how these tech giants work, and why they are all concentrated in this ‘new promised land’ called Silicon Valley. Learn how the innovations, once considered science fiction, have become a reality and entered the consumers mainstream, whether it is Apple’s latest iPhone, Google search engines and products, social media networks like Facebook, Intel semiconductors, eBay, Oracle, HP, Nasa, PayPal or even Tesla’s electric cars - they all impact our daily lives in many ways. The remarkable impact of Silicon Valley technology will only continue to grow and affect our lives even more as time goes by. Silicon Valley business ecosystem is a must-see for everyone. It has even become a frequent stop for heads of State, Kings, Queens and Presidents when visiting California. They are all intrigued by this small part of the world called ‘Silicon Valley’, with its technological growth and how small ideas became giant companies like Google, Facebook, Twitter or Apple. Visiting Silicon Valley will make you understand why startup companies flourish so rapidly in this part of the world. 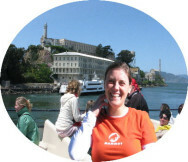 Join us and book our Silicon Valley personalized tour and get all the answers you need. 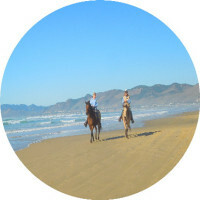 It is extremely important to find the right and accredit local tour operator and expert tour guides, so you experience and enjoy an in-depth guided tour, not just drive-by and missing out the essence of Silicon Valley tech tourism. This is where our passionate and knowledgeable local tour guides come in so handy. They will offer you many options and will personalize your Silicon Valley tour itinerary on the go, based on your preference. You can book your private tour on our secure website, and your tour guide will customize your tour accordingly. You don’t have to worry about planning the trip, negotiating traffic and how to navigate through this massive geographical region, hidden sites, and busy highways. We take care of the planning and the driving. The question we get a lot from customers and travelers are whether they can go inside tech giant’s facilities or not. Yes, it’s true that the most notable Silicon Valley tech giants offer no tours of their campuses or access to the public inside their facilities. However, some allow limited public access inside their premises, whilst others like Google, Oracle, Apple and Facebook, don’t. They are secretive and they have the right to be protective in this new era of cyber-attacks and security issues. The only way a member of the public can tour the inside of campus buildings is if they are escorted by an employee. So, if you happen to have a friend or relative who works there, ask them to get an invitation, and we will get you there. What all visitor should know is that even if you are invited by a famous Silicon Valley firm like Google, they never allow anyone to go upstairs to visit their offices. All visitors remain limited to the lobby area downstairs or in the food court area, which offers no benefits, only a lot of hassle and nothing much to see. Our tour guides’ tip of the day. Our tour guides recommend that you take full advantage of your one- time trip to Silicon Valley and rather focus on what you can see and get insider access to places that make your holiday memorable. This can include the famous Computer History Museum, Stanford Walking tour inside the campus, visit President Hoover Tower and museum, visit Stanford stores ad library, take a guided tour inside the world famous Intel Museum and learn about how ‘silicon’ is used in manufacturing chips and semiconductors, visit the Nasa visitor center and you may also gain access to Moffett Fields’ Nasa visitor’s center US Military Historical Society and Museum. Visit Googleplex (Google Headquarter) and walk in the campus , see YouTube and Google map buildings and go inside Google merchandise store and picture yourself with Google Android lawn giant statues, Visit Yahoo or Oracle merchandize stores from inside as well, or visit San Jose’s famous sites, including the Museum of Innovation if you have kids or teenagers, or the Children Discovery Museum for kids of age 10 years or younger, visit Santana Row in San Jose and its premium outlet boutiques, Tesla Store, or take and trip to the famous Winchester Mystery House. You may also go inside Apple Spaceship and main merchandise store. There are many places you can visit and see from inside – in fact this can take days to see them all because Silicon Valley is extensive and hard to cover all in one-day trip. We highly recommend that you select the places you would like to see and let your tour guide know more about your preference. Regardless of your choice, you can still ask your private tour guide to personalize your trip itinerary on the day of the tour. You may also choose one of the following options on our website, ‘itineraries and choices’, to give us an idea about your priorities and preference regarding the sites you wish to visit or see in Silicon Valley. This can be done by simply adding the number of the itinerary you like in the ‘box’ entitled ‘special request’ you will find in the shopping cart. What to expect from this Silicon Valley private tour? We recommend adding the sites you would like to visit in the ‘box’ entitled ‘special request’ that you will find at our shopping cart. 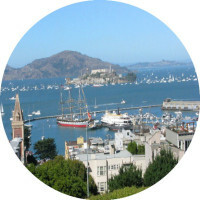 Duration: 8-hour private tour from San Francisco door-to-door, when starting and ending the trip in San Francisco downtown area, or a 6-hour private tour: when starting, and ending in south San Francisco or Silicon Valley. If you are staying on the south bay or in Silicon Valley area, you save the traveling time from San Francisco to Silicon Valley and vice versa, as this driving time usually takes about 90 minutes each way. Therefore, when the tour starts and ends in Silicon Valley, it last 6 hours instead of 8 hours, because we are based in San Francisco not in Silicon Valley. You still get to see more sites because we save on the driving time and traffic congestion before we go to your pick-up location. Please keep in mind once again that most Silicon Valley tech companies are not open to the public. Having said that, you still have an extremely rewarding touring experience in Silicon Valley, because there are more places you can visit from inside and outside than the few sites closed to the public. For example, if you are interested Silicon Valley technology and innovation, we tailor and personalize your trip based on your choice of sites, attractions and places you wish to see. We recommend number 1 or 2 from the itinerary below for technophiles who look for an in-depth geek tour or for families and visitors, with or without kids. Itinerary 1: This trip of Silicon Valley combines a walking guided tour of Stanford University in Palo Alto, with a semi-private guided tour of Intel Museum, and a public or a self-guided tour of the Computer History Museum. This option is recommended for techy visitors and families with kids who want to visit Stanford University and visit Silicon Valley’s top museums. In addition to these sites, your private guide will offer you options and side trips to view high-tech corporations and sights from a distance, such as HP Garage in Palo Alto, or Steve Job's former home or garage. You will see many sites of interest along the way like downtown Palo Alto or Apple Spaceship and their main store (time permitting), or travel to Mountain View and visit Googleplex, and or visit the NASA visitor center. Please note that many sites are closed on Mondays and Tuesdays including the Computer History Museum and Intel, so we recommend that you check our section below ‘useful information and tips’. Don’t worry about the trip itinerary, sit back in our luxury vehicle, tell your tour leader what you would like to see and leave the driving to us. Itinerary 2: This tour option includes a full-day sightseeing trip to Silicon Valley to visit the Computer History Museum in Mountain View, Intel Museum in Santa Clara, Santana Row in San Jose, where you can dine in one of the most celebrated and trending restaurants, take a stroll and check out the Santa Row elegant outlet boutique stores, visit Tesla’s famous electric car store, or Amazon Store, or even visit the Winchester Mystery House (a haunted mansion that featured on TV). 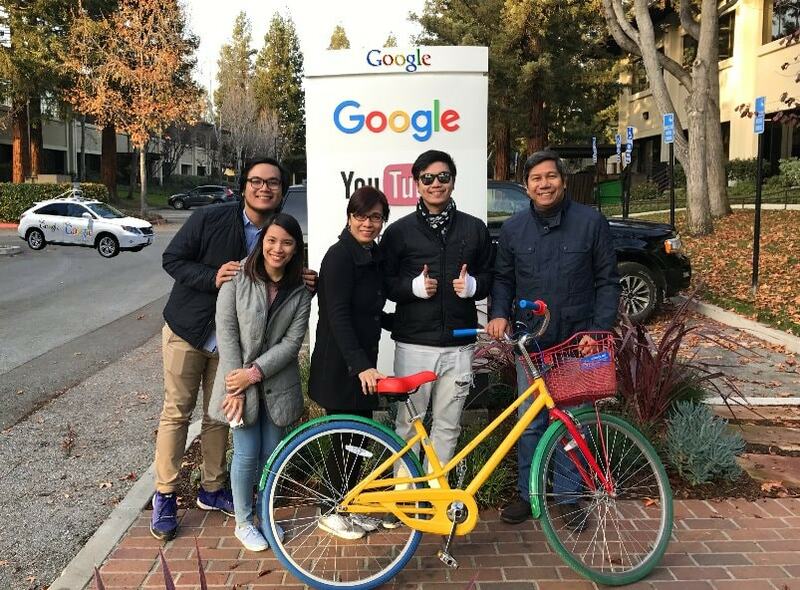 Your private tour will offer you more stops on the way to see iconic tech giants and sites like Facebook, Oracle, Apple gift shop, Googleplex, NASA, downtown Palo Alto, and HP Garage (the birthplace of Silicon Valley). This tour option is for visitors who are not interested in visiting Stanford University or taking the walking tour because Stanford takes a lot of time on your tour, in addition to the 90-hour driving time each way from San Francisco, to Silicon Valley and vice versa, due to traffic and distance. Itinerary 3: This day trip is an express tour for visitors who want to see as much as possible in one excursion without stopping for too long in each place. If you wish to stop at Stanford University and take the walking tour, this is not the right tour option for you. 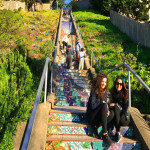 However, if you want to explore Silicon Valley and spend a short amount of time in each place, so that you can fit in as many attractions as possible in your day tour, this is the right trip option for you. Book this tour option and explore many sights and high-tech corporations of your choice Silicon Valley like Oracle, Googleplex, Intel, Aviation Museum, Facebook, Apple Spaceship & gift shop, downtown Palo Alto, Stanford University, PayPal, Yahoo!, Amazon Lab 126, Tesla Motors store, NASA Ames Research Center, Moffett Field Museum, the Winchester Mystery House in San Jose, and/or HP Garage in Palo Alto. This express tour is recommended for first-time visitors to Silicon Valley who have no special interests in museums or universities. For families with kids; you may consider the Children's Discovery Museum, the Tech Museum of Innovation, or California's Great America amusement park for more fun. 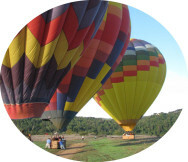 The sights and attractions stated above can take 2 day trips to see them all, so we recommend that you select the places you like the most and let your tour guide know what sights you are interested in. We will customize your tour accordingly. There is no need to worry about the itinerary, because your tour guide will take care of the rest. He/she will keep you informed about your special interests, thereby tailoring this trip to meet your interests and tour needs. What to expect when visiting Google? The only way a member of the public can tour inside a tech giant, like Google’s, facilities is to be escorted by an employee. But visitors remain limited to the lobby area downstairs, which offers no benefits at all to go through the hassle and end up seeing nothing interesting anyway. Here’s what you can see and do when visiting Google. Visit and walk in the area called Googleplex. This is the corporate headquarter complex of Google in Mountain View. The company operates dozens of buildings in the area and keeps expanding and taking over other giant tech companies like LinkedIn, who sold its buildings to Google in 2016. With the rise of the revolutionary and mesmerizing architectural popularity of Apple’s ‘spaceship campus 2’ in Cupertino, Google has already revealed its future plans for the Google Headquarter Mountain View Campus. We are most likely going to a witness a ‘Google empire - a city within the city in the near future’. Ride the multicolored Google bikes around the campus like Google employees do, photograph YouTube and Google Map facilities from outside but you can step out of the vehicle and have your guide take a photograph of you standing by YouTube sign or Google street cars. 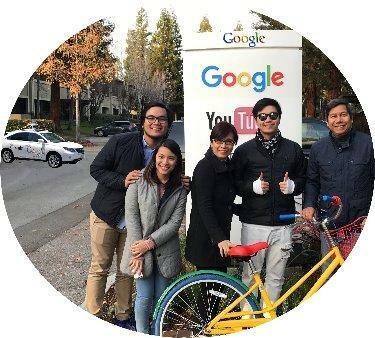 Let your private driver take you as well to the Google-branded souvenir and merchandize store where you can go inside the Google building to buy YouTube branded merchandise, Google t-shirts, gifts, and gear, bags, accessories, drinkware, electronics, and more. The Google Store is open Monday through Friday, 10:30 am to 6:30 pm, and you no longer need a Google ID badge to go inside Google Merchandise Store (adjacent to Android statues). Go inside the giant Android statues and walk among super-sized representations of Google operating system’s mascots, including a hulking doughnut, immense cupcake and giant ice-cream sandwich, representing Android iterations and updates. Drive around Google’s new facilities and past Garfield (Google Athletic Recreation Field) Park, Google- owned sports fields and tennis courts that are opened to the public for use on nights and weekends. See Google’s new self-driving cars, colorful chairs, bikes and umbrellas at the outdoor cafe. An optional side trip may take you inside a museum where you can see a temporary exhibit about Google technology and products. California's Mountain View Computer History is dedicated to the preservation and celebration of computing history. The Computer History Museum houses one of the largest collections of computing artifacts in the world, including computer hardware, ephemera, photographs, moving images, documents, software and some of the very first computers from the 1940s and 1950s. The museum traces the history of the computer and technology of Silicon Valley. It’s open Wednesday and Thursday from 10 am to 5 pm; Friday from 10 am to 9 pm and Saturday and Sunday from 10 am to 5 pm Admission packages range from $12-$40, but children 12 and younger are free. NASA's Ames Research Center is a key facility for many of NASA's missions and projects. Come to the Ames' Visitor Center and learn what the NASA is doing at this amazing NASA facility. The NASA Ames Visitor Center is a self-guided walkthrough and an average stay at the NASA Ames Visitor Center is about one hour or less. Please don’t expect a huge NASA center like in Florida, this is a small facility located in a parking lot at the main gate to NASA's Ames Research Center at Moffett Field. It’s open to, and free for the public (Tuesday - Friday 10 am - 4 pm, Saturday - Sunday noon - 4 pm, and closed on Mondays and federal holidays). The City of Palo Alto is the ‘Birthplace of the Silicon Valley’, and home to Stanford University. This is where Silicon Valley’s top entrepreneurs and notable people live. Located 35 miles south of San Francisco and 14 miles north of San Jose, Palo Alto is a dynamic and wealthy community. The City of Palo Alto is more than 100 years old, and is named after a majestic 1000 (not 250) year old coastal redwood tree along San Francis Quito Creek, where early Spanish explorers settled. The blend of business and residential areas, anchored by a vibrant downtown, defines Palo Alto’s unique character. A charming mixture of old and new, Palo Alto’s tree-lined streets and historic buildings reflect its Californian heritage. At the same time, Palo Alto is recognized worldwide as a leader in cutting-edge technological development. Stanford University is a private research university in Stanford, adjacent to Palo Alto. 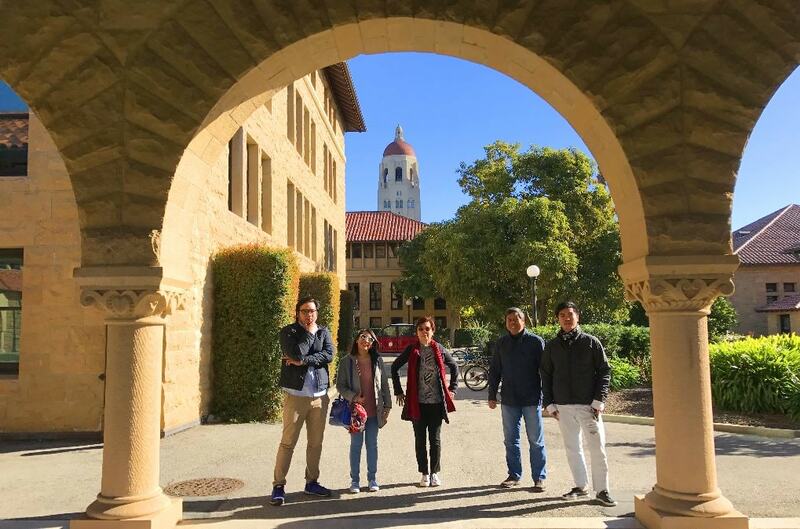 Join us and tour the world-renowned Stanford University. 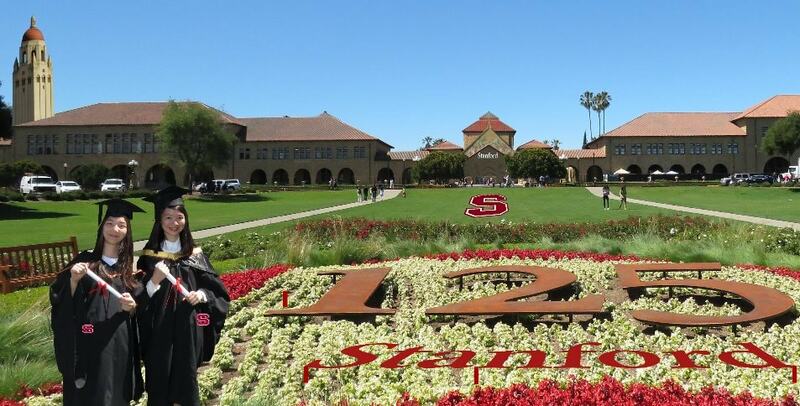 Stanford University campus is one of the largest and most beautiful in the country and deserves a visit. 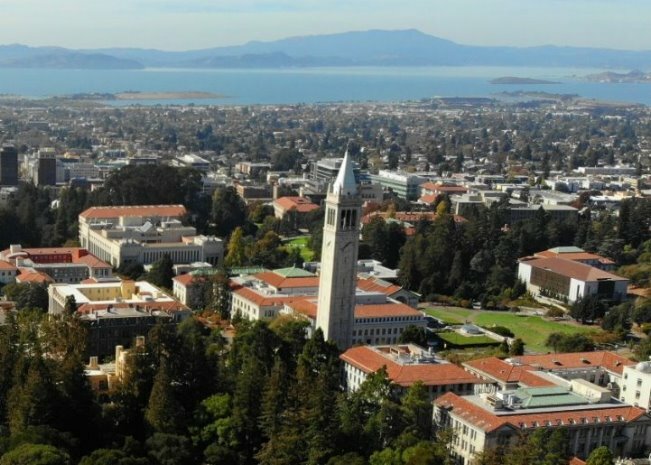 Stanford University also has the distinction of having the largest campus in the word and is the number one ranking University in North America. It’s one of the best universities in the World and worth a visit! It has such a beautiful campus, with Romanesque style buildings, art centers and bronze statues. Stanford Campus Walking Tour : Stanford University is restricting access to vehicles larger than 7- seaters, require special permits and charge over $350 per hour for parking at their private campus. They do not make profit from tourism and they don’t have the staff to manage the thousands of visors who travel daily to visit their campus. We recommend choosing our small private tour to bypass these restrictions. Bear in mind that this is a self-walking tour when Stanford’s own walking tour is not available. Parking remain an issue and hard to find, so please exchange your telephone number with your driver and schedule a meeting location just in case you can’t reach him or her. Walking tour groups are available seasonally and twice a day, based on availability. You will spend an hour or more walking with a Stanford student guide exploring the highlights of Stanford's beautiful campus - a great introduction for first-time visitors and tourists. This tour covers central campus, including the Main Quad (historic and academic center of campus, including the school of Humanities & Sciences), walking by Hoover Tower and Library, visit the Memorial Church, see the Engineering Quad, and White Plaza (student activities area, including the Bookstore, Student Store, Old Union, and Tresidder Memorial Union). The Campus Walking Tour departs from the Stanford Visitor Center. This public group walking tour lasts 70 minutes and available at 11:00 am & 3:15pm but subject to change at any time as this a private campus. Cantor Arts Center is one of the most impressive university museums in the country. The Cantor Arts Center is always bristling with visitors. The museum boasts a permanent art collection of more than 32,000 works and has several exhibits that are displayed throughout the year. San Jose is a large city surrounded by the rolling hills of Silicon Valley - a major technology hub in California's Bay Area. The downtown historic district is known for its architectural landmarks, from the 1883 Italianate-style Oddfellows building, to Spanish Colonial Revival structures. Best Things to Do in San Jose, whether you've come for business or leisure: You'll find a lot to do and see in San Jose. Attractions and museums include the Museum of Art, the Children's Discovery Museum Tech Museum of Innovation. For a whole day of family fun, head to California's Great America amusement park in nearby Santa Clara or Santana Row. Santana Row is an outdoor shopping mall in San Jose, California. Discover Silicon Valley's premiere destination for shopping, dining, living, and more. With over 70 shops, 20 restaurants, and 9 spas and salons. 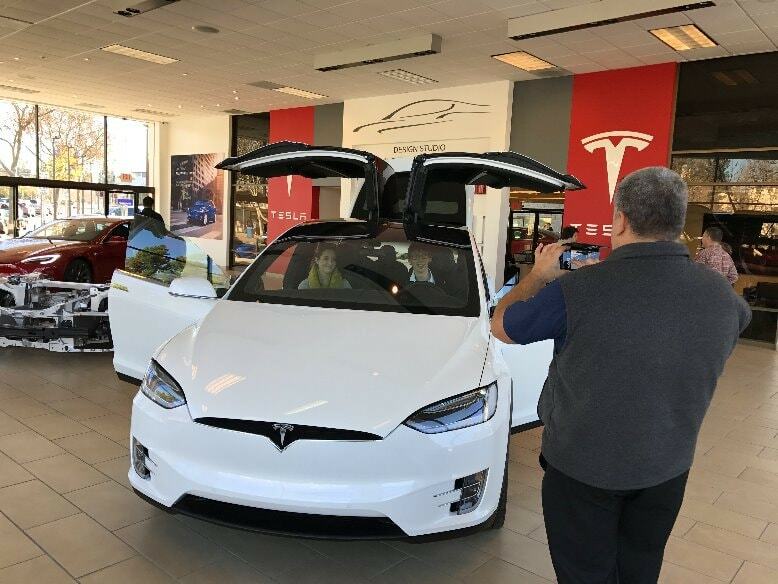 Then there is Tesla’s interactive experience for potential customers, allowing them to explore Tesla's technology and learning about owning an electric vehicle. The new headquarters is a massive, ring-shaped office overflowing with panels of glass. The building created by architect Norman Foster, immortalized a vision that co-founder Steve Jobs had for years. The building is designed to house for about 13,000 employees, the idea was to make a building where so many people can connect and collaborate, walk and talk each other, this structure is a statement of openness, of free movement. The new headquarters received the nickname of Apple Spaceship, and the entire facility will be powered mainly by solar panels. Go behind the scenes in the high-tech world of California’s famed Silicon Valley. See what it’s like inside an ultra-clean, highly automated silicon chip factory, and connect with technologies that give us new ways to work, learn, play, and communicate. The Intel Museum is 10,000 square feet of fun, interactive learning for children and adults. The Intel Museum is located at Intel's headquarters in Santa Clara, California, has exhibits of Intel's products and history as well as semiconductor technology in general. The museum is open weekdays and Saturdays except holidays (Monday–Friday, 9 am to 6 pm PT, Saturday, 10 am to 5 pm PT). Intel Museum Store is also open to the public. 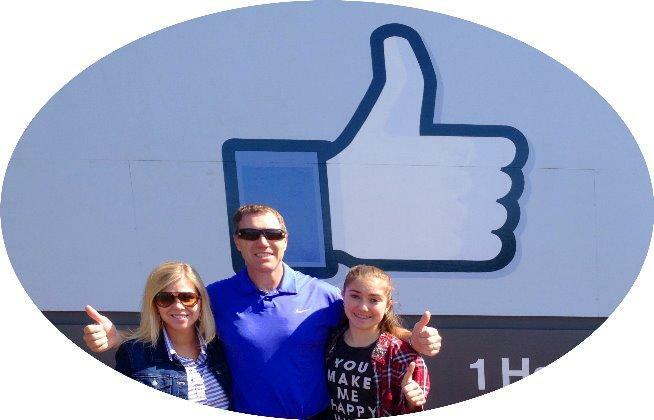 Join us and tour Facebook’s Menlo Park Campus and we will stop at the famous Facebook ‘thumbs-up’ sign outside its Menlo Park headquarters. Nobody is allowed inside Facebook or Oracle, but it is still an exciting experience to stop by, walk through their campus and take pictures with their logos and signs. With Facebook recently topping 10,000 employees, CEO Mark Zuckerberg, who lives in Palo Alto, is building new modern and futuristic facilities with the largest open floor plan in the world, and local artists commissioned to decorate it. The 430,000 square-foot space fits 2,800 employees and Zuckerberg has a desk right in the middle. It will be worth your time and money to drive by and see it. At Oracle, we will walk through the campus and even go inside the main building to visit the gift shop. The Hiller Aviation Museum is an aircraft history museum located at the San Carlos Airport in San Carlos, California. The museum was founded by Stanley Hiller in June 1998. It specializes in Northern California aircraft history and helicopter history. Hours of Operation: 10am-5pm, 7 days a week. The museum can be closed to the public to accommodate scheduled events. Closed Easter Sunday, Thanksgiving Day and Christmas Day. Drive through Sunnyvale tech giants including Yahoo, and go inside their merchandise stores (limited access), see Amazon Motorola and HP facilities next to Moffett Fields and Martin. Pickup and drop off in San Francisco, 8 hour guided tour from 9 am to 5 pm leaving from San Francisco downtown area or 6 hours if starting and ending in Silicon Valley area. All applicable taxes, Nasa Ames, Stanford University and Intel museum guided tours are included in this tour. Meals, driver’s gratuity, overtime, wine tasting fees, Stanford University fees and optional activities or entrance fees to museums or firms. Note: overtime is recommended due to traffic and the massive areas to cover that Silicon Valley encompasses! -All vehicles larger than 6 or 7 passenger capacity are prohibited to access and park inside several sites within Silicon Valley, including Stanford University. If you have more than 7 persons in your party, group or family, you are indeed required to pay for a special permit, which must be requested weeks or months in advance, and it costs an extra $400 per hour, chargeable to you. -If you change or move the pick-up time, show up or arrive late to your pick-up location, this will affect the entire schedule especially when you have appointments scheduled to visit sites or museums. You may then not be able to visit the sites or companies that offer guided tours at specific hours, as they never wait for those who arrive late. We are not to blame if you miss out on any appointment or tour. We always show up on time and we accommodate your requirements at your pace. -Please understand that many sites, companies, parks like Alcatraz and Muir Woods, or universities like Stanford, do not allow tour guides to carry out guided tours inside their campuses or facilities. In addition, parking in places like Stanford is a major issue regardless the size of the vehicle you book, so please exchange your telephone numbers with your driver so that he or she meets you at a specific location after your self-walking tour of Stanford. -When our Silicon Valley tour starts, or ends in Silicon Valley, the tour lasts 6 hours instead of 8 hours, because we are not based in Silicon Valley, but in San Francisco. The drive from San Francisco to Silicon Valley and vice versa takes about 90 minutes each way. In reality, your tour cost us an extra hour, but we do not charge you for when you start in the Silicon Valley area, and you save yourself the heavy traffic and rush hour we go through before we arrive in Silicon Valley, and the same for the way back to San Francisco. Suggestions: we highly recommend adding overtime to your tour; each extra hour costs $139 per SUV, tax included, when paying with a credit card, and only $89 when paying in cash, tax included. For large vehicles and vans, each additional hour costs $199, tax included, when paying with a credit card, and only $139 when paying in cash tax included. We highly recommend adding overtime to your short day-trip, because of traffic and the time it takes to drive between point A and B in this extensive Valley. -ALL MAJOR TECH GIANTS LIKE FACEBOOK, GOOGLE, ORACLE, EBAY, APPLE, YAHOO, PAYPAL among many others, are off-limits and do not allow anybody inside their buildings and private properties, unless you have a personal invitation. The same with their gift shops, and these are only a few. What all visitors should know is that even if you are invited by a Silicon Valley company like Google, you will not be allowed to go upstairs and visit their offices anyway. All visitors remain limited to the lobby area downstairs or in the food court area, which offers no benefits at all to those go through this hassle and end up seeing nothing interesting anyway. This information is based on our clients’ feedback who have been inside. -Many sites, companies and museums are indeed closed on Sunday, Monday and Tuesday, holidays and weekends and this vary from place to place. Most of museums and sites have admission fees that are not included in your tour price. We are transparent with are rates, so we are not blame for any misunderstanding regarding our terms and policy stated and posted very clearly on our website. The Intel Museum is located at Intel's headquarters in Santa Clara, California. The museum is open weekdays and Saturdays except holidays (Monday–Friday from 9 am to 6 pm PT, Saturday from 10 am to 5 pm PT). Intel Museum Store is also open to the public. The museum is open Wednesday and Thursday from 10 am to 5 pm; Friday from 10 am to 9 pm; and Saturday and Sunday from 10 am to 5 pm. Admission packages range from $12-$40, but children 12 and younger are free. Closed on Mondays and Tuesdays and for private events without a prior notice. Stanford Campus Walking Tour http://visit.stanford.edu/tours/ Offers approximately 70 minutes’ free walking tour at 10:45 am and at 3 pm upon availability (first-come, first-served basis). Closed for holidays, inaugurations and private events. Sometimes they may not have enough volunteers to carry out these free tours and may cancel it at any time and without a prior notice. Hours: Tuesday – Friday from 10 am - 4 pm and Saturday - Sunday from 12 pm - 4 pm. Closed Mondays and federal holidays. In addition, the Ames Visitors Center will be closed on the following dates: November 11th, and 25 through November 27, and December 24th to January 2nd. Note: No high expectations on this very small and limited Nasa facility located in a parking lot outside of Moffet Field (where access is prohibited). Moffett Field Historical Society Museum: http://www.moffettfieldmuseum.org/findus.html is rarely open and only for few hours, check out their website. Generally, it is open on Wednesdays from 10 am to 3 pm, closed during the holidays, and private events or when the site is under constructions or due security considerations. -All vehicles larger than 6 or 7 passengers’ capacity are prohibited to access and park inside several sites within Silicon Valley, including Stanford University. If you have more than 7 persons in your party, group or family, you are indeed required to pay for a special permit and this has to be requested weeks or months in advance. It will cost an extra $380 per hour charged to you. -If you change or move the pick-up time, show up or arrive late to your pick-up location, this will affect the entire schedule, especially when you have appointments scheduled to visit sites or museums, and you may not be able to visit the sites or companies that offer guided tours at specific hours. They never wait for those who arrive late and we are not to blame if you miss out any appointment or a tour. We always show up on time and accommodate your requirements and pace. -Please understand that many sites, companies, parks like Alcatraz and Muir Woods, or universities like Stanford, do not allow tour guides to carry out guided tours inside their campus or facilities. In addition, parking in places like Stanford is a major issue, regardless the size of the vehicle you book. Therefore please exchange your telephone numbers with your driver, so he or she meets you at a specific location after your self-walking tour of Stanford. -When our Silicon Valley tour starts, or ends in Silicon Valley, the tour lasts 6 hours instead of 8 hours because we are not based in Silicon Valley, but in San Francisco. The drive from San Francisco to Silicon Valley and vice versa takes about 90 minutes each way. In reality, your tour cost us an extra hour, but we do not charge you for when you start in the Silicon Valley area, and you save yourself the heavy traffic and rush hour and the same way on the way back to San Francisco. Suggestions: we highly recommend adding overtime to your tour; each extra hour costs $139 per SUV, tax included, when paying with a credit card, and only $99 when paying in cash, tax included. For large vehicles and vans, each additional hour costs $229, tax included, when paying with a credit card, and only $189 when paying in cash, tax included. We highly recommend adding overtime to your short day trip, because of traffic and the time it takes to drive between point A and B in this extensive Valley. -ALL MAJOR COMPANIES, TECH GIANTS LIKE FACEBOOK, GOOGLE, ORACLE, EBAY, APPLE, YAHOO, PAYPAL among many others, are off-limits and do not allow anybody inside their buildings and private properties unless you have an invitation from one of these companies. Same with their gift shops, and there are only few. What all visitor should know is that even if you are invited by a famous Silicon Valley firm like Google, they never allow anyone to go upstairs and visit their offices. All visitors remain limited to the lobby area downstairs or in the food court area, which offers no benefits at all to those go through this hassle and end up seeing nothing interesting anyway. This information is based on our clients’ feedback who have been inside. -Entrance fees to museums, sites, parks and attracts are not include in the tour price. -Many sites, companies and museums are indeed closed on Sunday, Monday and Tuesday, Holidays and weekends and this vary from place to place. Most of the museums and sites have admission fees that are not included in your tour price. We are transparent, so we are not blame for any misunderstanding regarding our terms and policy stated very clearly on our website. We took a tour of San Francisco to Silicon Valley and took us through many areas filled with great institutions and high tech corporations like Oracle FB, Google among others, but our guided tours of the Stanford University campus, NASA and the Intel museum were much more interesting because they took us inside these giant tech companies . 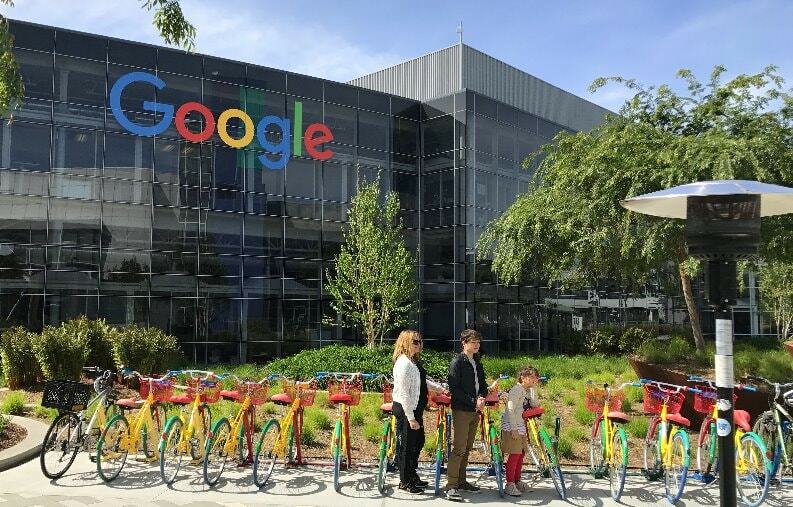 There were many young technology professionals riding bikes on Google, Oracle, Apple and Facebook, this caught their attention and motivated our children to become more interested, which was the goal of our Silicon Valley discovery trip. computer or software were designed in this world-famous Silicon Valley area. I was delighted to visit or just stroll through these famous technology sites like Apple HQ, Amazon, Yahoo, HP, Tesla, PayPal, Ebay, Google's campus, Hewlett & Packard's real garages and Steve Jobs's. We did not have time to go to museums, But our panoramic tour allowed us to see much more than a regular trip as we covered the whole valley thanks to the experience and knowledge of our tour guide. One tip: do not even think about driving on your own, the traffic is terrible there unless you know the way and all the shortcuts and exits as our guide. 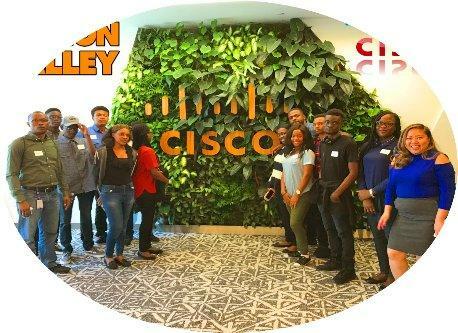 This was the first trip our school organized from Lagos in Nigeria to Silicon Valley. As a tour leader and teacher in charge of 22 students, I was very nervous, did not know what to expect from this adventure, and how to organize all aspects and details of this trip to California. Valley, San Francisco and Santa Cruz, The redwoods park and Mytery Spot. Museum, The Levis Stadium, NASA, the Aviation Museum, and a private walking tour of the famous Stanford University led by a college student.